Agriculture is Arkansas’ largest industry, contributing more than $21 billion to the state’s economy each year. Because of our diverse landscape and unique climate, Arkansas produces a wide array of agricultural products and is among the nation’s leaders in a number of commodities. Arkansas leads the nation in rice production, churning out 50 percent of America’s rice. As a result, Arkansas is also home to the country’s largest rice exporter, Riceland Foods. Arkansas is second in the nation in poultry production, with more than 2,500 farms raising chickens across the state. 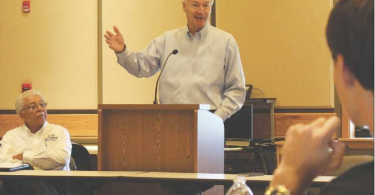 The nation’s largest poultry processor, Tyson Foods, also calls Arkansas home. According to Farm Bureau, Arkansas has more than 14 million acres of farmland. More than 6 million acres of that are crops, while livestock and hay production make up the remaining 8 million acres. And across all those acres, Arkansas excels in the production of the following commodities: beef cattle, cotton, dairy, aquaculture, pork, horticulture, poultry, rice, soybeans, wheat and so much more. “Farm families are multigenerational, and that, to me, is what’s so important,” says Gov. Asa Hutchinson. “They’ve survived good times and bad times, tough economies, and they have been able to make a living for their family. 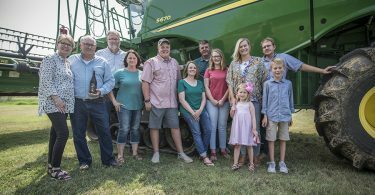 In honor of the state’s largest and most vibrant industry, Farm Bureau continues to highlight the people who make it all possible: the Arkansas Farm Family. 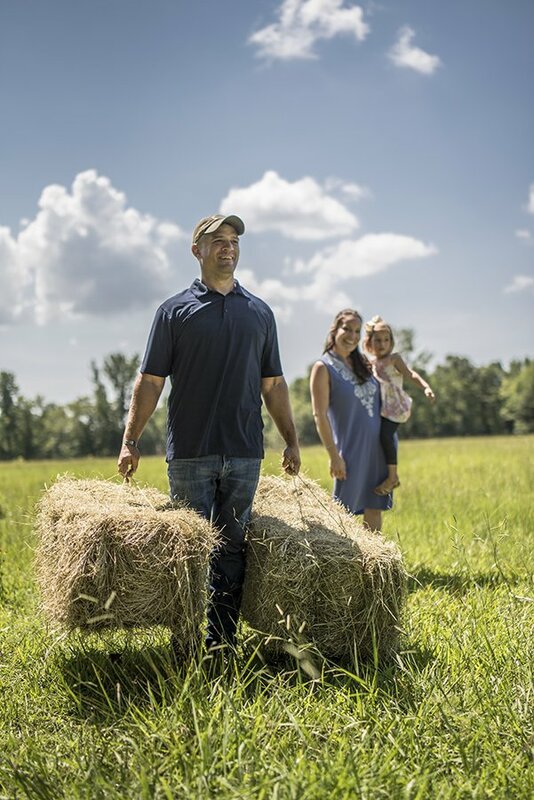 Each year, Farm Bureau celebrates the men and women and their families who make up the state’s most important business sector through their Farm Family of the Year program. Each spring, a family is chosen from each of the state’s 75 counties. Of those 75 families, eight are chosen to represent their district.  Arkansas Money & Politics has joined forced with Arkansas Farm Bureau in showcasing these hardworking men and women and their families, honoring them for all they do for their state and their community. 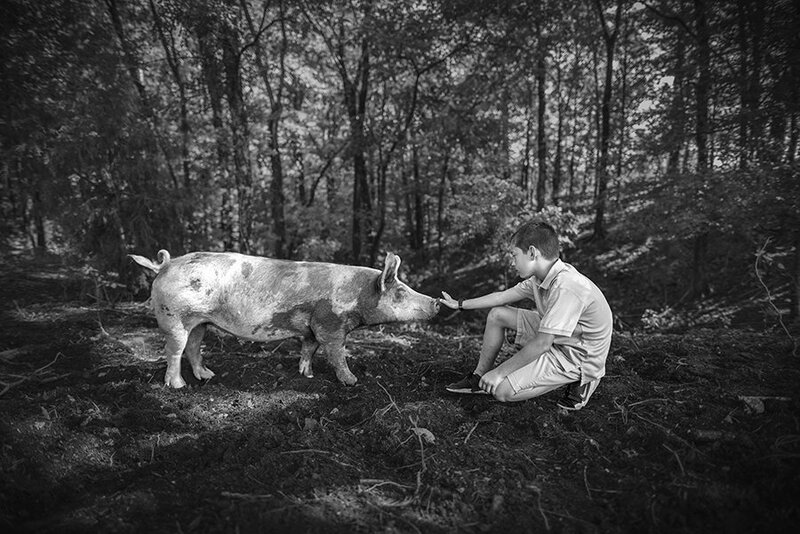 These eight families are diverse in what they farm, how they farm and why they farm. They represent various commodities, backgrounds and trades. But they all have one thing in common. They’re all salt of the earth people who hold this state together, both economically and societally. 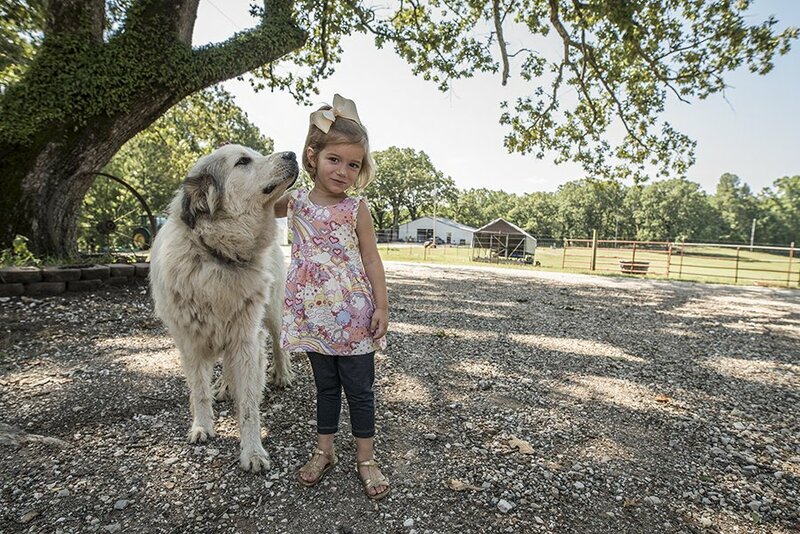 Learn more about these families and how their farms contribute to the Arkansas ecosystem. 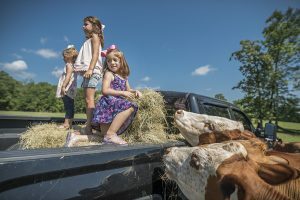 Jana and Damon Helton and their children, 11-year-old Luke, 9-year-old Olivia, 5-year-old Violet and 3-year-old Elena, raise beef cattle, hogs and broilers on their 165-acre property in Lonsdale, 20 minutes west of Benton. 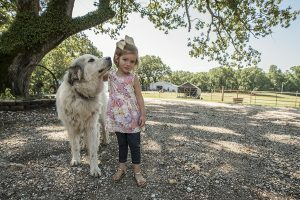 Through their Benton-based Olde Crow General Store and farmers market presence, the family provides high-quality farm-to-table meats to their community. Damon, a native of Little Rock, served eight years as an Army Ranger in the 2nd Battalion, 75th Ranger Regiment, Special Operations Command. His service included four deployments to Afghanistan and one to Iraq. While home on leave after his first deployment, he met Jana, a Bryant native, while eating with friends at Cajun’s Wharf. They eloped the next time he came home for leave. Unlike most farm families, neither Jana nor Damon had much experience when they decided to start their farm five years ago. Damon was working a demanding sales job that kept him on the road and away from his family more often than not. The pair found a piece of land for sale and took a leap of faith. 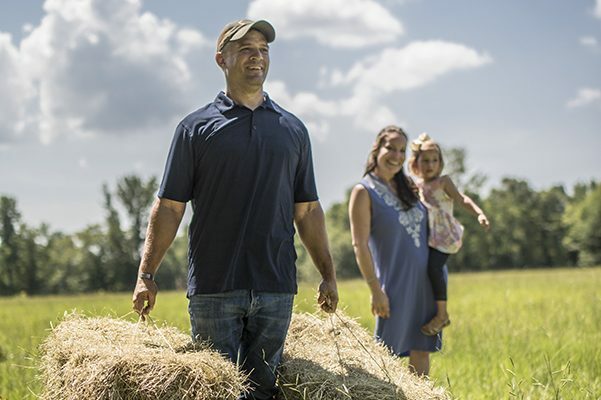 With the help of programs like Armed to Farm: Sustainable Agriculture Training for Military Veterans, they turned their investment into a farm, which they named The Farm at Barefoot Bend. 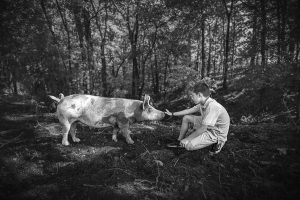 After a couple of years of raising beef cattle, forested hogs and pastured broilers, the Heltons decided to open a general store in nearby Benton, which allows the family to market their products year-round. The family also frequently visits a number of local farmers markets, including those in Benton, Hot Springs and Hot Springs Village. The Heltons have set a goal of providing the highest quality grass-fed beef in Central Arkansas while also establishing a gold standard of animal husbandry. Their aim has been to provide a high-quality product their customers feel good about eating. 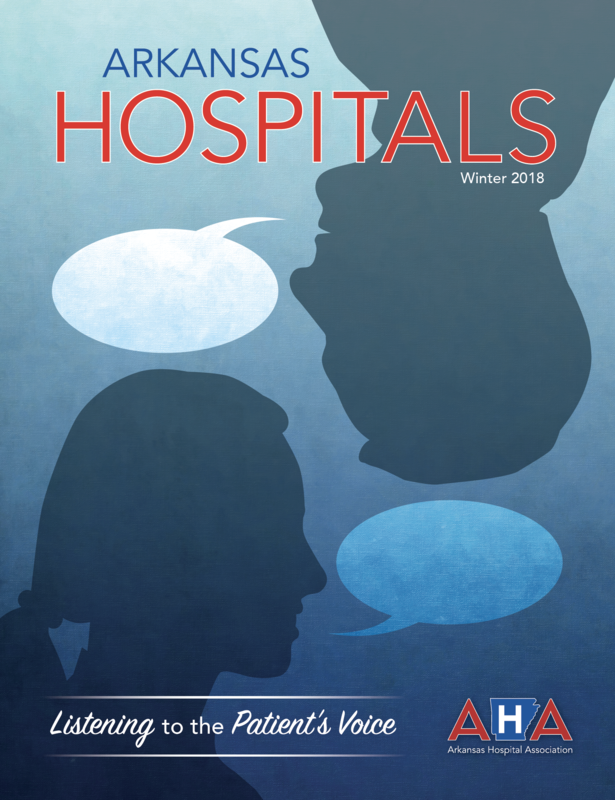 And they’re succeeding, thanks in part to a number of state and federal programs such as Homegrown by Heroes, AR Grown/Homegrown by Heroes (sponsored by the Arkansas Agriculture Department) and Grass Roots Farmers’ Cooperative. The Heltons hope to use what they have built to give back to others, too. Along with their many plans for development and expansion, the family hopes to create a farm intern program for veterans to promote personal healing and interest in the agriculture industry. The family also plans to further develop their farm into an agritourism destination. Agritourism is one of the fastest-growing niche tourism markets, providing a bridge between rural and urban communities. The Heltons are members of the Fellowship Bible Church. Damon serves on the Saline County Farm Bureau Board and is a member of the Hot Springs Village VFW and American Legion. The Heltons are also participants in the Arkansas Freedom Fund, the Arkansas Cattlemen’s Association, the National Cattlemen’s Beef Association, Farmer Veteran Coalition and more.